When you visit Oamaru, the coolest town in New Zealand, you cannot miss the blue penguins (world's smallest penguins) and the Victorian Precinct. And of course our famous Steam Punk Museum and the new Whitestone City Museum. Oamaru has so much to explore, one day is simply not enough! If you want to see the penguins, they only come back at dust. Give yourself a nice night rest at our warm and cosy place, then start fresh and explore more the next day! 2 steps of stairs to climb to get in the house. Quiet time from 9:30pm to 7:30am. Very clean and tidy and suited our needs. Warm and comfortable. Handy to supermarket. The interior of the house is lovely, tidy and new. The interior of the house is lovely, tidy and new. The heat pump was great for heating the house. Loved having wifi. The only thing that let this house down was the shower - it had a very low flow. Well set up, clean and tidy. Well set up, clean and tidy. OK location but a bit of road noise. Shower not great. 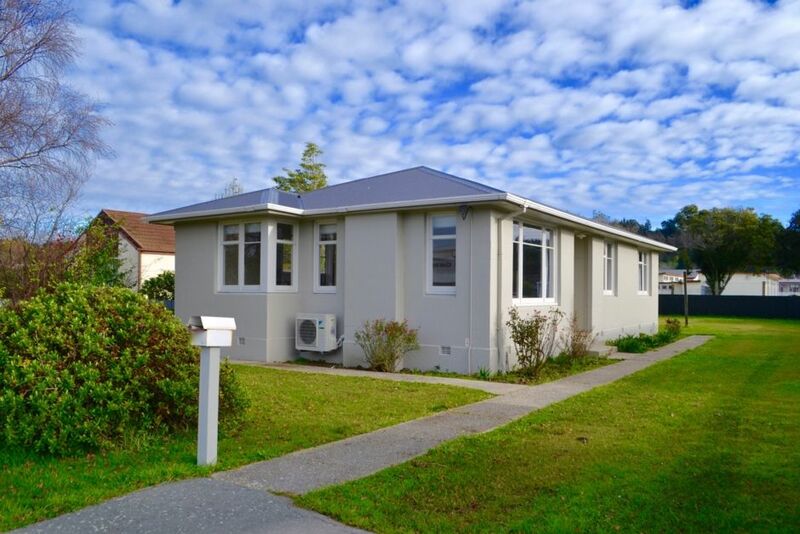 This is a very clean, comfortable and convenient bungalow at the north end of Oamaru. This is a very clean, comfortable and convenient bungalow at the north end of Oamaru. Just three doors from the New World supermarket. Quite newly painted/ new floorings make this a very tidy holiday rental. The heat pump makes it cosy, if required. On the main road but we did not experience any disruption from passing traffic noise. Recommend to others as a cost effective stay well equipped with all the basics. Functional place. Clean. Close to the busy road. Kitchen is lightly equipped. If the price is right would stay again.